If you wish to set values or scores for specific questions in your survey, you can make use of the Scoring Feature. 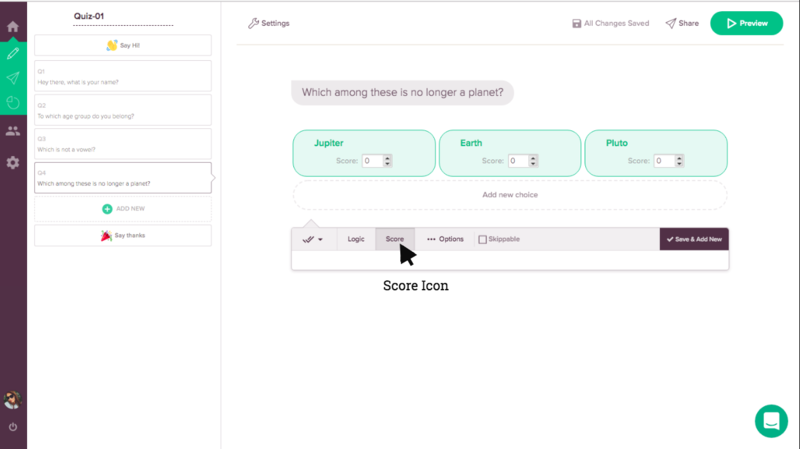 For instance, while creating a quiz, or a test, this feature enables you to set scores for one or more options. The right option carries the score while the incorrect one carries none. These values are added up to give you the final score of the respondent in the end. 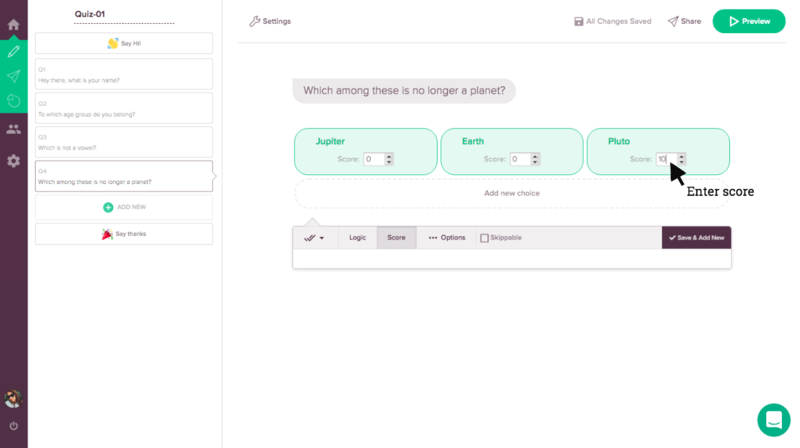 Please note that you can enable scoring for only multiple choice and image choice type of questions. 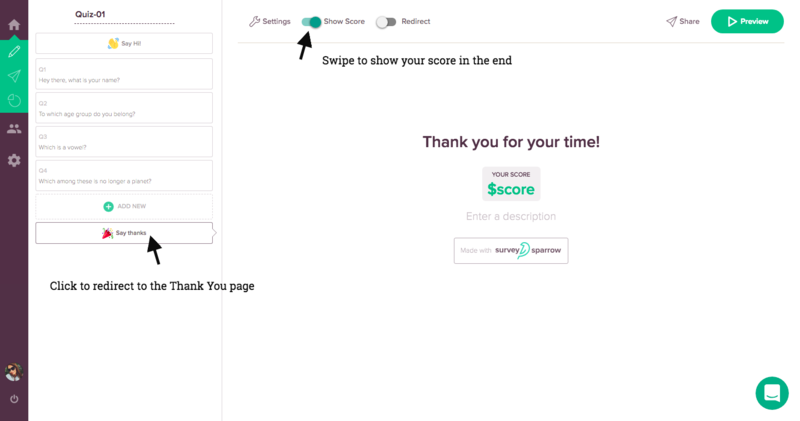 In the question you wish to add the score, click on Score Icon. 2. Under each of your option, you will find a score assigned. Enter the values as per your needs. 3. 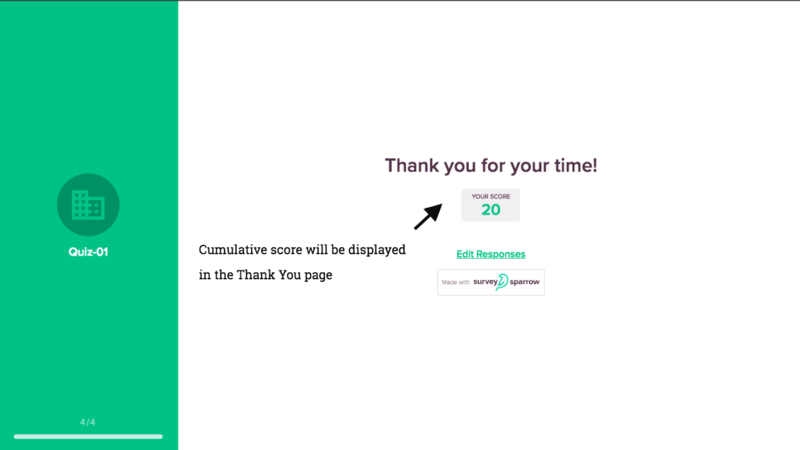 To display your score at the end of the survey, click on 'Say Thanks' tab in your survey builder page. Upon redirecting to Thank you page, swipe the Show Score icon. Now you can view your final score, all added up, at the end of your survey.